Read the Preface of the book! Breaches of integrity are common in our public institutions, our workplaces and even in our personal relationships. Yet each of us has the means and responsibility to repair the tear in our social and moral fabric, not by pointing fingers at others, but by recognizing and resisting the scores of small, seemingly inconsequential ways we make moral compromises in our own lives. 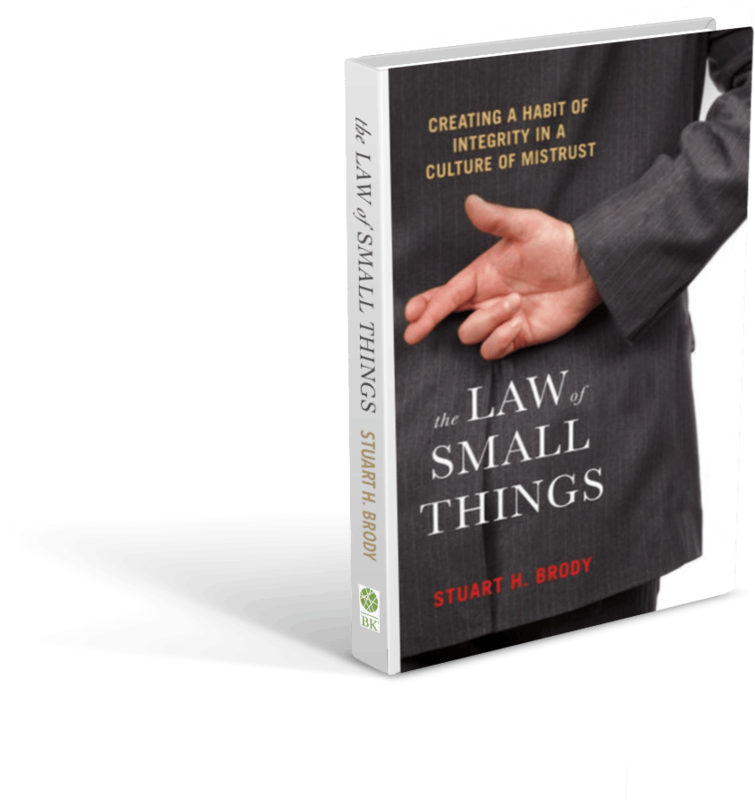 ‍The Law of Small Things begins with an IQ (Integrity Quotient) test designed to reveal the casual way we regard our promises and the misconceptions we have about acting truthfully. The book shows how most people believe that integrity is something we “just have” and that we just do, like a Nike commercial. It depicts these and other deceptions we deploy to appear to act with integrity without actually doing so. Brody challenges the prevailing notion that integrity is a possession you hold permanently. No one “has integrity” and no one is perfect in practicing it. What we have is the opportunity to uphold promises and fulfill duties in each situation that faces us, large and small. Integrity is a practice and a habit of keeping promises, the ones we make explicitly and the ones that are implied in all our relationships. Ultimately, developing skill in the practice of integrity leads us to knowledge of who we are—not in the way the culture defines us, but in the way we truly know ourselves to be. Complete the Integrity Quotient Quiz and receive a free chapter of the book!